Today I'm joining in on the Friday Five link up with Cynthia, Mar, and Courtney for their 'Blogs to read' theme. I'll be honest, I like to read and I read a lot of different types of blogs (including the blogs of everyone who stops by here). I am not always on top of the most current posts or commenting, but I get to them (it's all about pacing yourself, right?). This is in no way an exclusive list of what I read, but just a few that I like and thought you all might enjoy checking out. Happy Reading! What you'll find: Amazing trailporn, great craft beer recommendations, and lots of trail and ultrarunning. What more do you need? 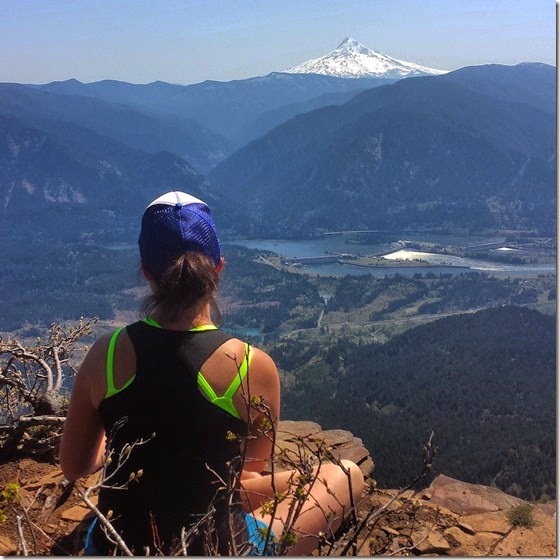 Why you should read it: Not only does Emily put up some serious mileage and explore some of the most beautiful trails in the Northwest, she does it all with a sense of humor. 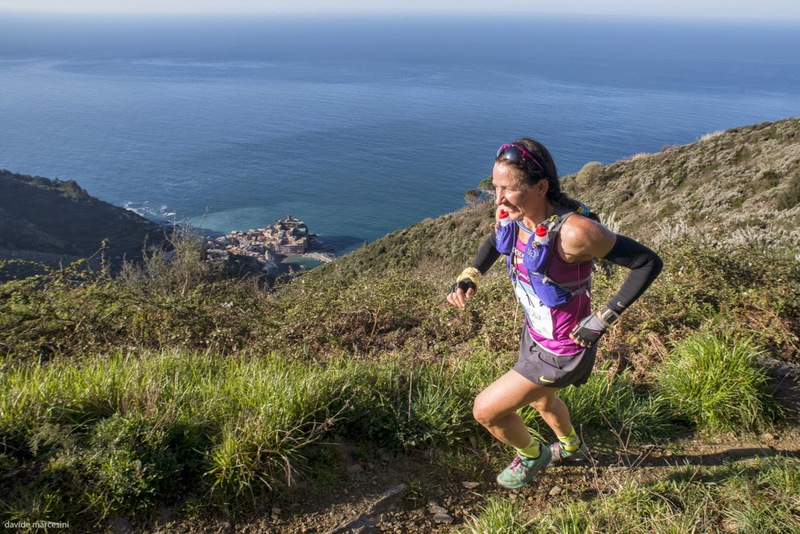 Expect stories about chips, learning to love yoga, and impressive race placements. What you'll find: Training, coaching, and racing recaps! Why you should read it: Another speedy lady who shares honestly about her training (physical and mental). I enjoy reading about the ways in which she challenges herself, balances life with training, and shells out some pretty solid advice (you should never go 'all-out' in a work out, embrace patience). What you'll find: A lot of 100 milers (yes, plural. He ran one a month last year), trail pics, and a love for junk food especially hostess products. Why you should read it: Cory is candid, hilarious, and so mentally strong! This is a man who ran a 100 miler ON A TRACK by himself. With all his joking aside, he is truly a strong runner with incredible mental stamina. What you'll find: Running tips, motivation, great trail pics, and amazing race recaps. Why you should read it: Sally is a Nike sponsored trail runner with some pretty impressive finishes (including a top 10 finish at Western States). 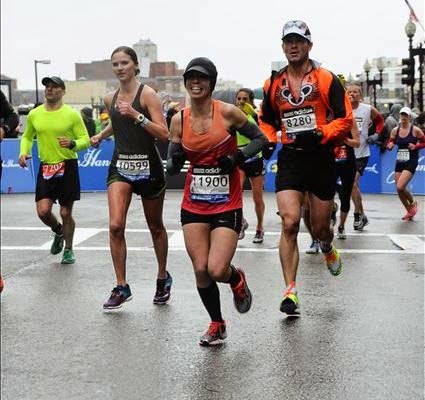 She blogs about her training, racing, and real life (yes, pros have real lives!). Her tips, strength training routines, and recipes are great for all levels. 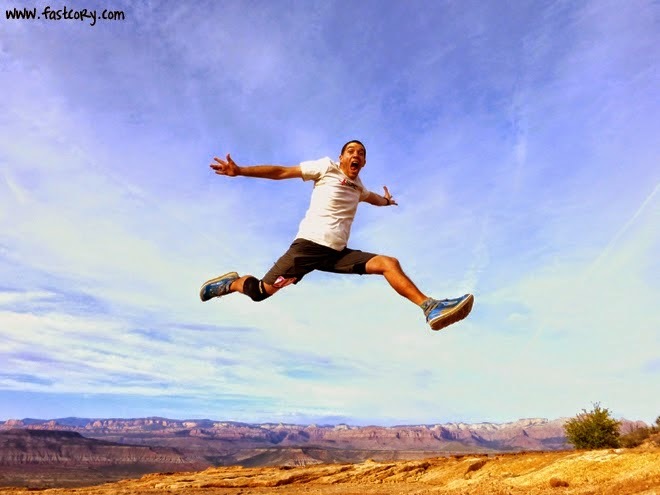 What you'll find: Gear reviews, trail running, lots of video posts. 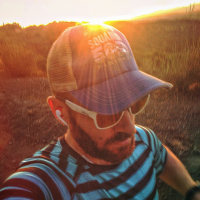 Why you should read it: Not only does he provide entertaining and informative gear reviews, but the Ginger Runner interviews elite trail runners, recaps his own impressive races, and share great trail footage all with the slogan "Train, Race, Beer". OK, now your turn. What are some of your favorite blogs? What makes you return to blogs time after time? Thanks for sharing these! I've been looking for some more blogs by dudes to read - there are so many guys who run (especially in the ultra world) but blogging seems so dominated by women. Glad you included a couple of men here!! Agree 100%, men bloggers are very hard to come by. Always looking for new blogs to follow written by men. Nice to get various perspectives on running. It tried to make a nice mix of blogs. There really are far fewer males bloggers out there. Thanks for sharing! I just recently stopped reading a bunch of blogs, so could add a few more to my short list. :) My reason to keep, or not, reading a blog is based on my motivation for reading it. If I find it useful, inspiring, or just like the pretty pictures then I read it. I stop reading if I find that I'm more interested in the drama shared on the blog, or if the blogger is a bit too full of themselves, or opinionated in a hurtful way. When I start thinking "I wonder what xyz blogger did over the weekend, or I need to check in and see how this or that event/adventure went" then I stop reading. I have a hard enough time keeping up with my true, real life friends, than if I become too sucked into the life of a blogger that I don't even know then I stop reading. One of my favorite blogs right now is: http://www.designformankind.com/ she is funny, honest, thought provoking, and shares a lot about herself in an effort to get others to take a look at themselves. It's all done in a calm way. Even if I read something that makes me think oh man I need to work on that and make changes I feel peaceful about it, not stressed out. No problem! Thanks for sharing Jen. I'll have to check that one out! Is this where we shamelessly plug our own blogs lol. Thanks Richard for mentioning me! I am not very riveting in the running world, but I sure enjoy having you all to chat running with! Great list Richard! There are a few on there I need to check out. Just what I need, more blogs to fill up my Bloglovin' feed... ;) I am a big fan of your blog, of course, and have really been loving Cotter Crunch lately, and Carla Birnberg's blog, too. Really, I just wish I had more hours in the day to read blogs. :) Hope you have a wonderful weekend!! Haha, it's a never ending list Beth! Thank you! I really enjoy Carla's blog as well. Always makes me think and she so often expresses what I've been thinking so clearly! Great list! I have actually been looking for a few more blogs about trail running and distance, so these are perfect. I agree with Brenda that it's nice to discover blogs written by men as blogging seems to be a predominately female activity. I wonder why that is... perhaps it fills that social need that women have. Thanks Kristen! I've been really into trail running blogs lately too. I think it's all the pretty pictures. Happy running! Ah, great minds think a like! Happy running and reading. Hmmmm.... I have never read any man blogs :). NYC Running Mama i sone of my favs!!!! Haha, I love the phrase 'man blogs'. For some reason it makes me giggle. NYC running mama is fab! You have inspired me in my running journey and I am always amazed at how you gracefully tackle the next big thing. 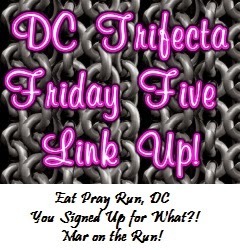 Wow, more blogs (except NYC running mama) that I didn't know about. Thanks for posting! It seems like there is a never ending list of blogs. Always new fun ones to find. Cool list. These are all new blogs to me, so I'll enjoy checking them out! Awesome. Hope you enjoy reading them! thank you for sharing these!!! I love trail running, it's nice to find some in that niche. You are welcome. I've been getting more and more into trail and ultra running, so I've been seeking out more advice from the blogging world. These are all new to me. I'll have to check some of them out. Awesome. Happy reading and running, Abby! I think I've heard of one or two of these in passing, but I've been looking for new running blogs, so I will check them out! It's hard for me to say what I look for in a blog...I don't have very many real life running friends, so I think I just like any that are interesting and make me feel part of the running community! That actually exactly why I started my blog. When I first moved to Atlanta, I didn't know a single person and needed some sort of inlet in the running community. I've found some great running friends now here in Atlanta and the on-line running world as well! i love michele (nyc running mama)! she's so sweet - good list! Thank you! She is so awesome! Miles for Maria Goals and Contest!